My approach to wedding photography is natural, contemporary and stylish and I use artistic composition along with gorgeous venues like Barley Wood to create wedding photos that you want to put on the wall, not in the back of the cupboard. By being relaxed and laid back my clients do not feel like they are in a photoshoot and so the wonderful connections between them and their guests shines through with a stunning set of photos that capture all the love, romance, humour and chaos of the day. All without an awkward pose or cliché in sight. I truly love photographing weddings with a relaxed and informal approach. Emotions are my pride and joy to capture; being witness to such a great day is a privilege. I offer a personal service for my clients and make sure I am there to create timeless images to cherish as well as make sure your day runs perfectly for you both. Each couple is different therefore every wedding is different; I am there to help you tell your love story. Evoke Pictures work unobtrusively capturing everything naturally, absorbing the atmosphere and recording the day as is it unfolds. They won’t take hours arranging group photographs and aim to have them taken as quickly as possible to let you get back to having fun. Every couple receives a complimentary engagement session so you can get to know them before your big day. We experienced the fabulous service of Evoke Pictures when they captured some great shots at our first open afternoon and networking event. Eleanor from Interlace Photography has a fresh and relaxed style, with focus on natural imagery that captures your guests personalities and the little moments that make your day truly unique. 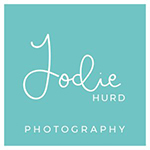 A professional wedding photographer for more than ten years, Eleanor has captured hundreds of beautiful celebrations and is friendly, knowledgeable and extremely passionate about providing her couples with incredible wedding images. Based in Langford, just a few minutes from Barley Wood.